Volunteers are needed for packing, sorting, supervising, driving, delivery and supermarket food pick-ups. Please call 416.633.5100 to schedule a time. The Food Drive takes place March 19 - 29, 2017. Delivery Day is April 2, 2017 from 8:30am to 11:30am. PACKERS to pack 2500 boxes. ADULT PACKING SUPERVISOR to organize our packers and make sure the boxes are packed with love, care and consideration. Every box is packed with the same items. VOLUNTEERS to pick up food from supermarkets and schools drop off locations and bring to Council House, 4700 Bathurst Street, Toronto. DRIVERS to deliver food boxes around the Greater Toronto Area. Bring your car, van or even your bus if you have one. Involve your school, your synagogue and your office! Let your kids experience Tzedakah at work. GOT THE TIME? YOU CAN HELP! There are loads of jobs, big and small! Meet new people – Get involved by helping our community – Your reward will be the satisfaction that you helped someone celebrate Passover with dignity and pride. Earn volunteer hours. Creating your own Passover Food Drive Fundraising Event is a way to make a difference. Whether your event is a run or walk, a marathon, bake sale, stair climb or breakfast simply register your unique event and invite your friends, family, colleagues, and neighbours to help fundraise! Collect the funds and send the amount to Passover Food Drive. Promote the Passover Food Drive on your website and social media. No donation is too small and every bit helps those in need. Donations over $10.00 are eligible for a receipt. Creating your own Passover food drive fundraising event is a way to make a difference. Consider involving your employees and associates in activities such as crowd-sourcing, Donation Days, or a corporate sponsorship. Collect your donations, and submit to the Passover Food Drive. 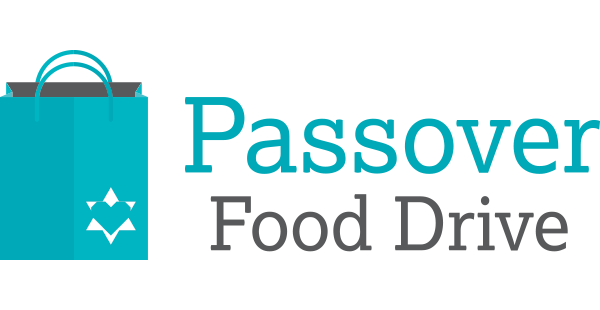 Promote the Passover Food Drive on your website and social media, experience communities working together. No donation is too small and every bit helps those in need.